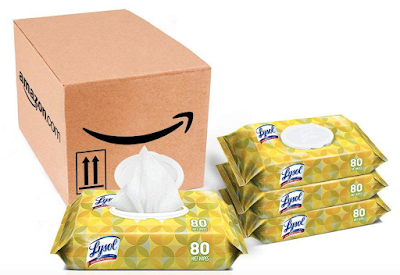 For a limited time, head on over to Amazon where they are offering up coupons to save 15% – 20% off select Lysol products. Some of these items are eligible to Subscribe and Save which means an additional 5% – 15% savings and free shipping! Plus, you can save an additional $1.50 off the purchase of select Lysol wipes when you use the promo code 10HANDIWIPES at checkout making for a great deal!